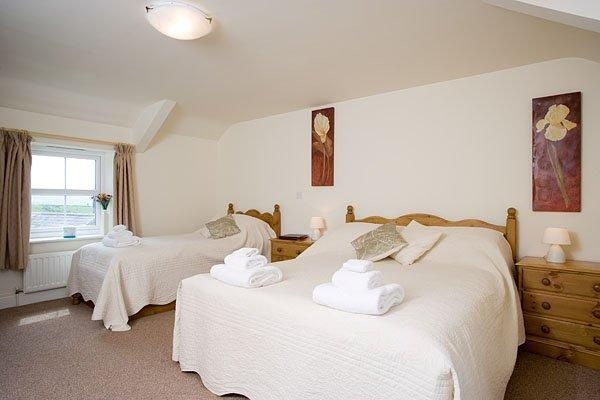 The five en-suite bedrooms are in a newly refurbished self-contained unit that used to be " The Pitman's Arms " public house before it closed in the late 1800's. Kellah is an ideal base for exploring Hadrian's Wall Country and the North and South Tyne valley's. The Lake District and the Border counties of Scotland are an hour's drive away. 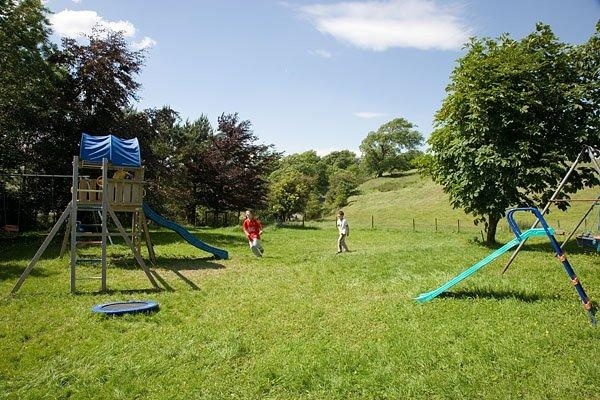 the unit Children can play in the play area ,games room or explore the farm and observe the day-to-day activities of a busy hill farm. From the moment we arrived we felt very welcomed, even the fire had been lit for us! Cosy lounge with coal fire, tv, DVD and lots of family games. Huge well equipped kitchen and dining table. 2 good sized bedrooms upstairs and one smaller one downstairs. Larger than average bathroom with bath and shower over bath. Central heating on 24/7 perfect for cold winter nights! Lovely walks along the Pennine way and into Haltwhistle. Supermarket and shops 3 miles away, about an hour to Gretna Gateway Outlet. Lesley was lovely and we enjoyed fresh eggs from the farm. Plenty of room for up to 8 plus a cot, there was just 2 adults and 2 children. 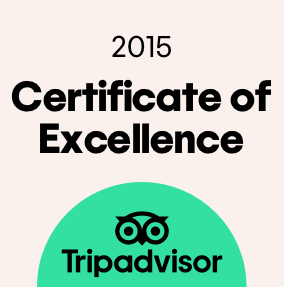 Stayed for 4 nights over Christmas and New Year - we will be returning soon. We stayed at Kellah Farm B&B for a night which is close to Hadrian's Wall which we toured the next day. The B&B is unique, out by itself in a remote, and beautiful, part of England. The B&B itself was excellent: the room was nice, the breakfast was great, there was plenty of parking, the host was friendly and helpful. We had an excellent dinner in the nearby cozy, intimate Blenkensopp Castle Inn. The attractions of Hadrian's Wall -- Roman Army Museum, Vindolanda excavated Roman fort, Housesteads Roman Fort, and the walk along the wall between the Steel Rigg and Househeads -- were all within a 15-minutes drive. We stayed for one night while walking the Pennine Way, booked through Macs Adventures. 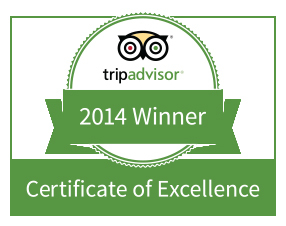 I won't reiterate the fantastic comments left on the previous two reviews, they are much more eloquent than me. Although we thoroughly agree with them. Suffice to say that we were absolutely delighted with our stay, the room was excellent, breakfast really good and with friendly, helpful hosts. Our only regret, that we didn't have time to linger longer over breakfast, it deserved more of our attention. I'm sure that we'll be back again and I'll love it, even if it means my wife dragging me around more piles of old stones! 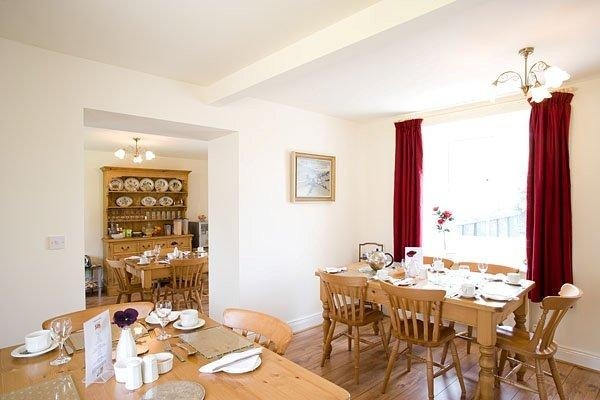 Wanted to visit Hadrian's wall and looked for accommodation near Hexham. 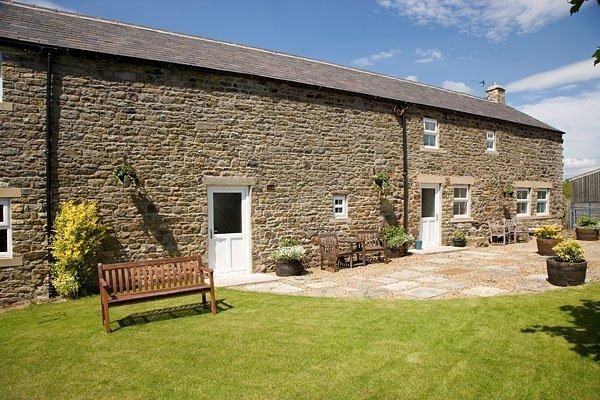 Although not quite Hexham, Kellah Farm near Haltwistle is an ideal base to get to Vindalanda, Birdoswald, Chesters, Housesteeds and Corbridge. Run by mum and daughter, Kellah is a working farm, the family having lived there for over 200 years. On arrival, we were met by Lesley (who had been busy sorting out the female sheep). Our room was the "Birdoswald", a large family room with king size bed, single bed and two roll away beds. The beds were extremely comfortable. With en-suite bathroom, we found this bedroom to be very comfortable. Little extras like make-up removal pads, sweeties and bottled water were much appreciated. There is also a hairdryer and alarm clock! Tea, coffe and chocolate drinks in room. You can also go down to the dining room for fresh milk if preferred to the long life milk in the bedroom. Breakfadt is served downstairs. A large variety of fresh fruit served seperately (not fresh fruit salad), yoghourts and cereals which you can help yourself to. Coffee and tea served at your table. Cooked breakfast was wonderful. Full breakfast of bacon, eggs, sausage, black pudding, mushrooms and tomatoes. Smoked haddock with egg as an alternative. I had the halloumi with honey, mushrooms and tomatoes. Yummy. White and brown bread is kept covered next to a toaster which you can help yourself to. Lesley provided us with information on places to go for dinner with descriptions and postcodes. A must as the farm is off the main road down narrow lanes. The large lounge has tv, gas fire, DVD'S and books and magazines. There is also a photo album showing the work done to make the farm into the existing B&B. Very interesting as this property was once a public house! We stayed fo three nights and thoroughly enjoyed our stay. Would certainly go again. If you like being in an elevated, windswept, lonely farmhouse high above Hadrian's Wall, then Kellah Farm is for you. If you like a comfortable bed, a beautifully furnished room with a huge en-suite shower, all meticulously clean, then Kellah Farm is for you. Just to top it all, if you like a huge and well cooked breakfast, fresh milk for your room, friendly and extremely helpful hosts...and at a price which I thought was unbelievably low...then you would be crazy not to stay here if you are visiting Hadrian's Wall.